Live it Up has an exceptional group of behind the scenes professionals who bring you exciting and timely information each week. Find out more about what these special people do. Lou is the producer of the Live It Up TV Show, www.liveituptvshow.com and founder of Lou Vaccarelli Assoc, a consultancy that gets involved in all aspects of your business, including buy/sell agreements, annuities and your entire operation. Lou is the President and co founder of Shape Media an optical media based marketing solutions company, a full service organization capable of handling all aspects of content creation, supply chain management, fulfillment and packaging. He led the company to revenue milestones and profitability in each and every year, pioneered the company into E-commerce initiatives, expanded company's offerings from a single product into a multi platform suite of products, successfully enforced intellectual property infringement in U.S. court, and penetrated every major ad agency and marketing company for new product introductions and developed a Who's Who client roster of corporate clientele. (See www.shapecd.com and www.hangtagz.com). Prior to co-founding Shape Media, Lou was Chief Procurement Officer and Vice President, Manufacturing & Production, of BMG Entertainment, the $4.7 billion music and entertainment division of Bertelsmann AG. BMG is the home of RCA, Arista Records, RLG and Windham Hill, among others, and incorporates more than 200 record labels and operations in 54 countries. Lou joined BMG in January, 1988, and was responsible for supply chain management, inventory management, production and all strategic sourcing which includes compact disc, DVD video and audio manufacturing for BMG Entertainment. In addition, he was responsible for travel management as well as BMG's Media Asset Management, which oversees the worldwide managing of all BMG's media assets, both physical and digital, and includes audio, video, original art, packaging, advertising and merchandising materials. Lou's responsibilities also included the digitization of all media assets and content prep for BMG's Digital Download Initiative. 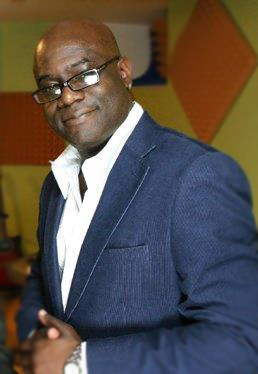 With 32 years experience in television production, Mr. Adams has produced and directed documentary and music entertainment projects for NBCUniversal, NHK Japanese TV, Sony Music Entertainment USA/Japan, ARD German Television and a wide variety of independent video and music production companies. He has worked with such notable celebrities as Kiss, Christina Aguilera, Pink, The Roots, Moby, Cheap Trick, Christopher Cross, Mary J. Blige and James Brown to name a few. As a former news and entertainment documentary DP, Robin develops and produces programs that deliver messages with poignant visual imagery and style. As producer and co-founder of The Williamsburg International Film Festival (WILLiFEST.com), Mr. Adams has been part of an eclectic team that has created a forum and marketplace for some of the most talented independent filmmakers in the world. Tony Liuzzi has been a notable fixture on the metropolitan area’s video production scene since 1983. For the past seven years he has produced the BOLI Awards (Best on Long Island) for the Long Island Advertising Club. Edited programs for an array of noteworthy broadcast and corporate clients such as American Movie Classics, Bravo, WE: Women’s Entertainment, Independent Film Channel, Discovery Channel, Cablevision and 98.3 KJOY. Corporate clients include David Lerner Associates, Unisys, Holophile Inc. Catholic Charities, Adecco, Winthrop Hospital, AGFA, Long Island Advertising Club, Fuji Medical Systems, and the NY Islanders hockey. When it comes to video and post production Tony has been the go to guy, consulting for John Edwards “Crossing Over” and the rebuild of the New York Islanders edit suites. He introduced web conferenceing software “Abobe Connect Pro” to David Lerner Associates for their weekly meetings. An Emmy for American Movie Classics “Behind the Screen”, A New York Emmy Nomination, and two Best-of-Long Island Awards (BOLI’s). Chris Catalano is the owner of C2 It Multimedia, a content creation company working in the Audio, Video and Web production genres. Chris started his company after spending 14 years with Verizon in various corporate positions. During his tenure at Verizon he spent a good portion of his time traveling throughout the US and internationally in support of the company's improvement initiatives. During the last few years with Verizon, Chris was spending a significant amount of personal time consulting with private clients on the side. As the demands of the consulting work continued to increase it became apparent that it was time to create C2 It Multimedia. Several years later the business has expanded significantly and now caters to corporate, small business and private clients. Chris oversees the majority of the work created by C2 It, but tries to delegate as much as possible. Chris' home life consists of spending time with his wife Shelley, young twin children, Jackson and Kayley and their two dogs, Andi and Rose. The entire family are outdoor enthusiasts and try to take advantage of any opportunity to get out and explore. Chris and his wife also like to spend time supporting one of their favorite non-profit organizations, the Guide Dog Foundation. They volunteer their time and C2 It Multimedia volunteers their services to the organization on a routine basis. Worked as a Freelance Sports Writer, Producer, Radio Host and Announcer since 2000 for various media outlets. Linda Bruno has been working as a voice over actress for more than 15 years. She started in Florida with a background in theatre and radio broadcasting before making the leap to New York City in 1997. Since then she has voiced for countless clients including TLC, VH1, McDonald's, The Weather Channel, and Nickelodeon to name a few. Linda has a variety of reads – from sarcastic and witty for VH1, to upbeat and friendly for Nickelodeon. Versatility is what she is known for and the reason so many of her clients have continued to repeatedly use her on their projects. Radio imaging clients include KFSH FM in Los Angeles and Bay FM in Japan, as well as many rock heritage and talk stations. Her voice is versatile enough to appeal to the female demographic and yet still attract the male audience as well. Her full time job is voiceovers, and when she’s not busy voicing for TV and Radio stations, she can be found teaching "The Art of Voice Overs" in New York. Contact us at Live It Up for more information. Jared Cohn graduated New York Institute of Technology with a B.F.A in communication arts, with a specialization in film. For nearly a decade he has been involved with independent media. He currently works as a shooter/editor, photographer, producer, writer and on-camera as well. He loves the creative process and enjoys being around ambitious, creative people. The German born army brat, traveled throughout the states with his military family, until settling in Southern California, as a preteen. TJ embraced his talent early on. By becoming a Hair Stylist at the age of 19. Then in 1995 he got his first agent and became a Celebrity Hair Stylist & Male Groomer, shortly after turning 22yrs old. Being super driven and determined, in 1998 he attended the famed Sunset-Gower Beauty Academy, In Hollywood CA. There TJ became a Certified TV, Commercial, & Film Makeup Artist.. He was only 25. Cindy Seiler, Production Manager, for “Live It Up! Show with Donna Drake and Fran Capo is also a gifted writer, director, producer, and President of LCR Robbins Productions, LLC, a newly formed creative media company. Her passion for writing began 17 years ago after the birth of her twins and she has never looked back. Cindy’s writing accomplishments include a broad spectrum of media; a full-length novel, short stories, four screenplays, and she is currently working on a new screenplay. Cindy is also the co-director/writer/producer of "Traveling Rose," a short comedic animation created for emotional education, and the writer/producer of a 20 minute short to promote her screenplay “Rough Point”. She has over 15 years of diversified experience in a variety of companies, including Koch Entertainment, Drake Media Network, Don Buchwald & Associates, Inc., Cablevision (AMC, BRAVO and WE: Women’s Entertainment), and the Nassau County Film Office. Cindy has worked with Donna Drake (President, Drake Media Network), and Donna McKenna (Casting Director and Independent Film Producer) on the cable and radio talk show “Indie’s Insider” and as a Production Assistant on various film productions with Donna McKenna. She also developed scripts for corporate videos and commercials for Donna Drake, and has organized and participated in a variety of fundraisers, such as the Huntington Arts Council Laff-Off Comedy Competition and Talent Show Competition, Day of Beauty Breast Cancer Awareness, Long Island Cares, and continues to volunteer whenever she can. Cindy was a Top Finalist in the Project Greenlight Contest, a Finalist in the Open Door Contest sponsored by Script Magazine, Winner of the Queens College 2003-04 Writing Contest for Best Screenplay and had a feature article published in the Long Island Parenting News. She has trained with professors from the NYU Film Program and continues to work on new projects with Ned Stuart of Lang Syne Films, an experienced and talented producer/writer/actor. She received her Bachelor of Arts in Media Studies from Queens College and lives in Plainview, NY, with her husband, Mitchell, and twins, Jan and Andrew.